As we quickly approach the holiday season, marketers everywhere are scrambling to gain the attention of consumers. With an estimated $16.2 billion expected to be spent this Christmas in Australia alone, retailers and marketers are looking for creative ways to get a piece of the action. 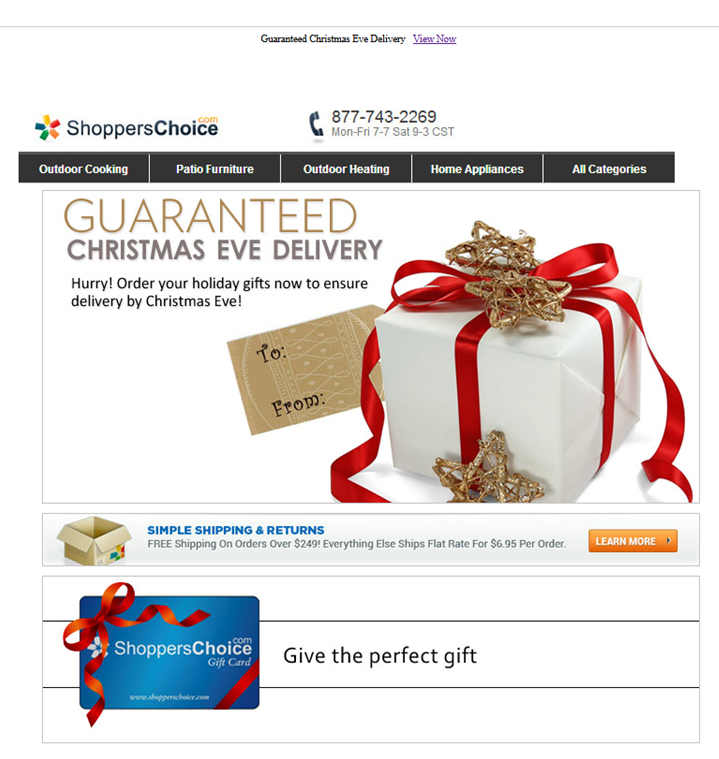 One of the best ways they can do this is to focus and streamline their email marketing efforts with holiday shoppers in mind. By thinking about the mindset, expectations and pain points of their target market during the Christmas season, marketers can offer highly relevant and effective offers and gift suggestions. Following are 10 tips that will help your holiday emails not only get opened, but make them more likely to result in sales and conversions. 1. Clearly State Your Unique Value Proposition. With so much competition for holiday dollars, it’s critical that you clearly explain why you’re different and better than the competition. By understanding the interests, needs and values of your target market, you can tailor your emails specifically to your customers. For instance, if your target market is largely made up of value-conscious stay at home moms, your UVP will likely focus on price. If your target market is made up of early-adopter tech-lovers, your UVP could be that you have the widest selection of new tech gadgets. Keep in mind you don’t necessarily need to state in your email that “we are cheaper than our competitors”, or “we carry the largest selection of products”. Although this can be helpful, oftentimes your UVP will be immediately obvious to savvy customers. 2. Offer Holiday-Specific Deals & Bonuses. 3. Use an Incentive in Your Subject Line. With the floods of holiday offers crowding inboxes, it’s important that your email subject line stand out from the pack. Offering an incentive will allow your subscribers to quickly ascertain whether it’s worthwhile to open your email or not. According to HubSpot, including an incentive in your subject line can increase open rates by up to 50%. And I’d imagine this percentage would hold true – or even increase – during the holiday season. 4. Segment Your List Based on History and Product Preferences. According to Experian’s 2012 Retail in Australia report, a mere 31% of Australian retailers know their customers’ online shopping histories, and only 13% know their product likes and dislikes. This gives businesses that do track customer interests and preferences a huge advantage. For instance, if you have a group of subscribers who typically bought in the week before Christmas, you can send frequent emails during this crucial time period. Send special offers on products that customers that have viewed or purchased in the past. 5. Include a Holiday Schedule for Shipping. Clearly detailing expected delivery dates in your emails is especially important, particularly as you get closer to Christmas. This may mean including an actual table or chart showing order date and expected delivery date, providing a shipping countdown (e.g. order today and receive your package on December 21), or offer guaranteed Christmas delivery. 6. 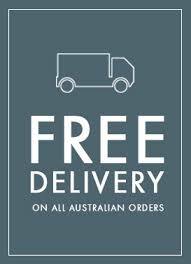 Keep Them in Australia With Free Shipping and/or No Taxes. With 1/3 of Australian online shoppers buying outside of Australia, offering incentives for shoppers to buy in Australia is paramount. One way businesses can specifically target Australian shoppers is to clearly offer cheap (or free) shipping. Another way is to offer to pay the taxes, an advantage they may experience purchasing from other countries. 7. Set up a Reminder Email for Customers who Have Abandoned Their Carts. If you’ve structured your checkout process so that an email is collected at the outset of a purchase, you have access to a goldmine of information: the email addresses of customers who have filled their carts but then abandoned them. 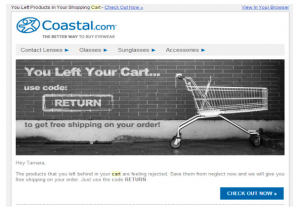 Eyewear retailer Coastal has a great email they send to shoppers who have abandoned their carts, offering free shipping with a special coupon code. Some other ideas are offering a % discount, or a bonus gift if shoppers come back and complete their order. 8. 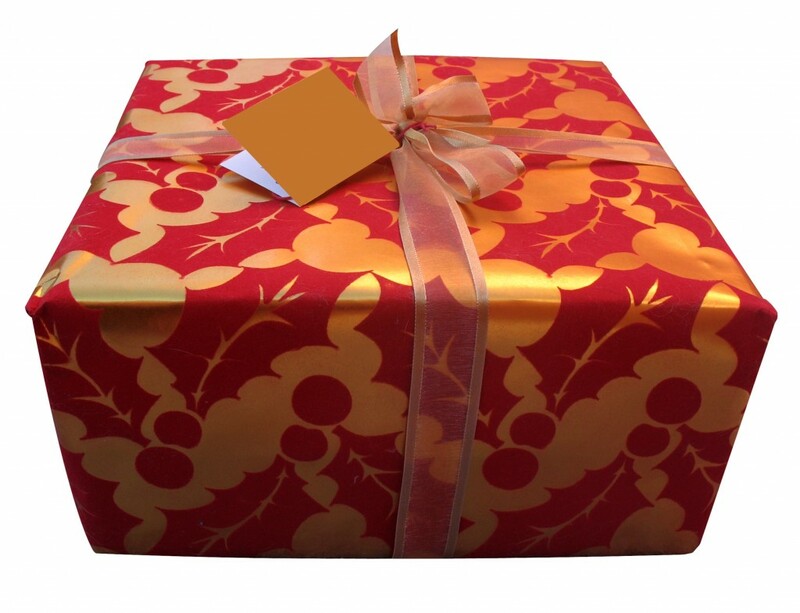 Direct Subscribers to Key Holiday Shopping Pages. 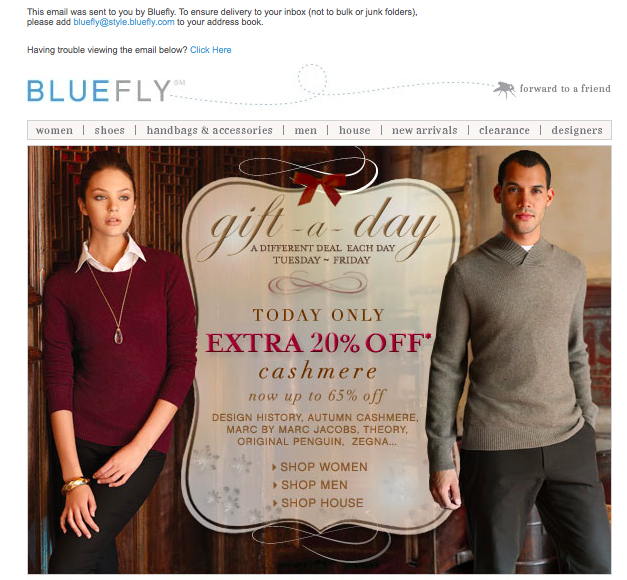 You may want to consider altering your email navigation menu to make special holiday-focused pages more accessible. Navigation links to pages like ‘gift ideas’, ‘gifts under $20’, or ‘holiday hours’ should be placed in your main navigation bar, allowing easy access to important holiday information. 9. Have a Clear Call to Action. Having a strong call to action is important for any email, but is particularly important when shoppers are experiencing information overload during the holidays. 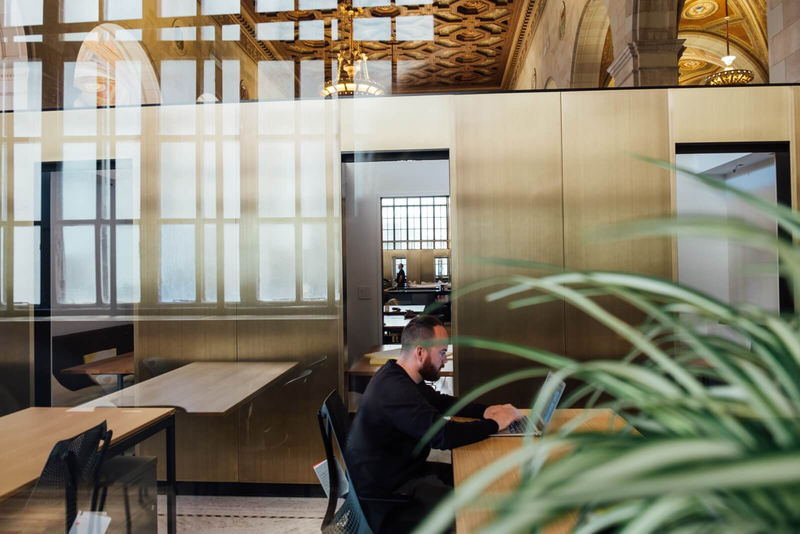 Now is probably not the time for lengthy articles, but rather for short, focused emails that clearly lay out what you want your subscribers to do. In the example above, TWS has a very clear CTA (Buy Now), as well as concise explanations of their UVP’s: free shipping, free personalization, and free gift wrapping. 10. Direct Shoppers to Specific Categories of Gifts. This will require some work, but organizing your products into specific categories can make your subscribers more likely to click through. Frantic shoppers will appreciate a neat, efficient way of finding gifts for their loved ones. By price point: under $10, under $20, etc. By recipient: For Her, For Him, etc. Bonus Tip: Customize Your Opt-in Box to Offer Immediate Incentives! Don’t forget about adding emails to your list during the holidays too! 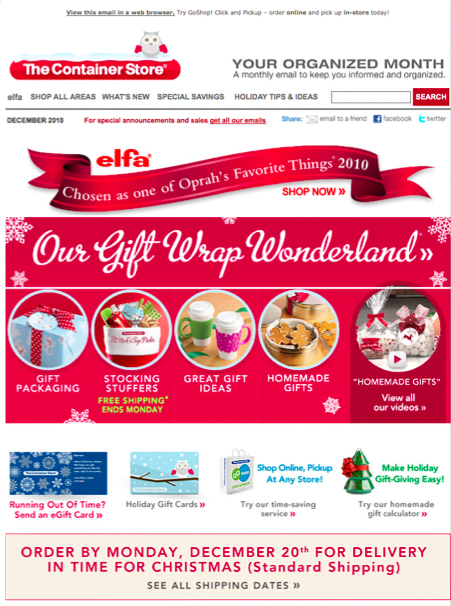 For best results, make sure your email opt-in box or page gives shoppers an immediate reward for joining your list. This could be free shipping for new subscribers, an immediate discount, or access to a limited-quantity product. 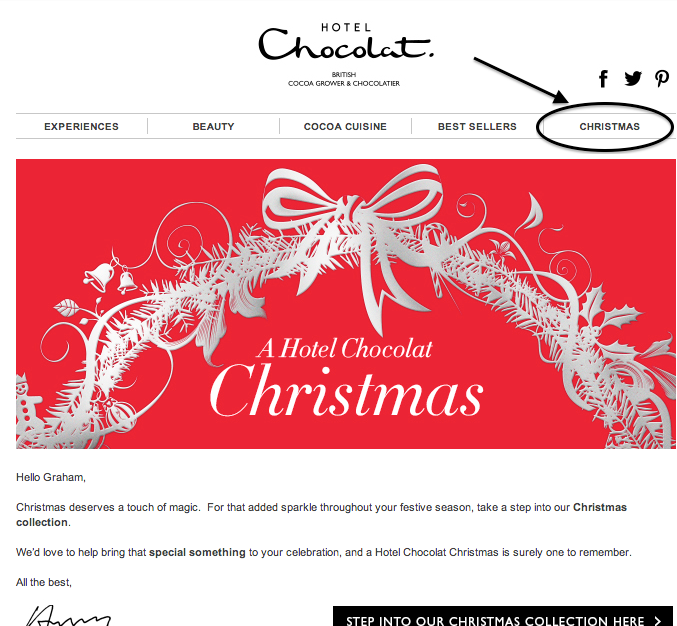 Do you have any holiday email marketing tips you can add to this list? 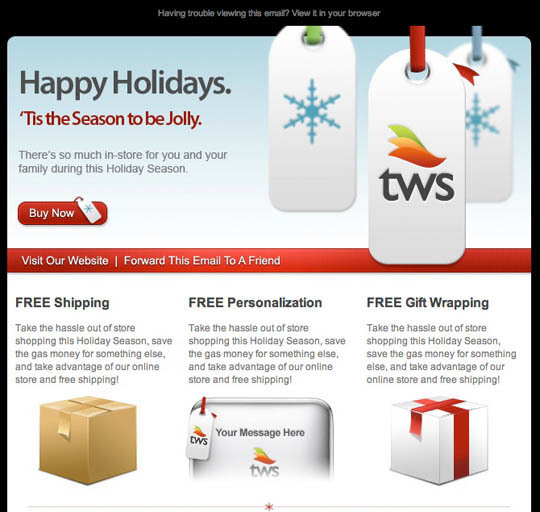 How do you customize and/or alter your email template to appeal to holiday shoppers?